This Passover was extra special with an addition of some new recipes! YUM!!! We always eat a lot of quinoa, salads and veggies. And of course I also get to have the treat of Matzah & Earth Balance. So simple, yet amazing of course! Last year we tried these vegan matzah balls but they disintegrated when left in the broth. This year my friend Lisa Dawn has been experimenting for a few weeks for the perfect Passover recipes. Thanks to Lisa Dawn and to Nava Atlas for these new amazing Matzah Balls and Matzah Brei recipes!! And thanks to my Mom and Mother-in-Law for making these amazing matzah balls for us. And Michael and I loved the Brei! YUM!!! Red Quinoa and Pumpkin Seed Stuffing – this quinoa is a year round loved recipe! Gluten -free “mac and cheese” recipe to come soon 🙂 So good! The main difference with these matzah balls are you don’t boil them, you bake them so they stay intact! The quinoa flakes bind them together and adds protein, how fabulous! These were amazing!!! And now I see what Lisa Dawn was saying how quinoa flakes are her new best friend! In a large mixing bowl, cover the quinoa flakes with the water. Let stand for 2 or 3 minutes. 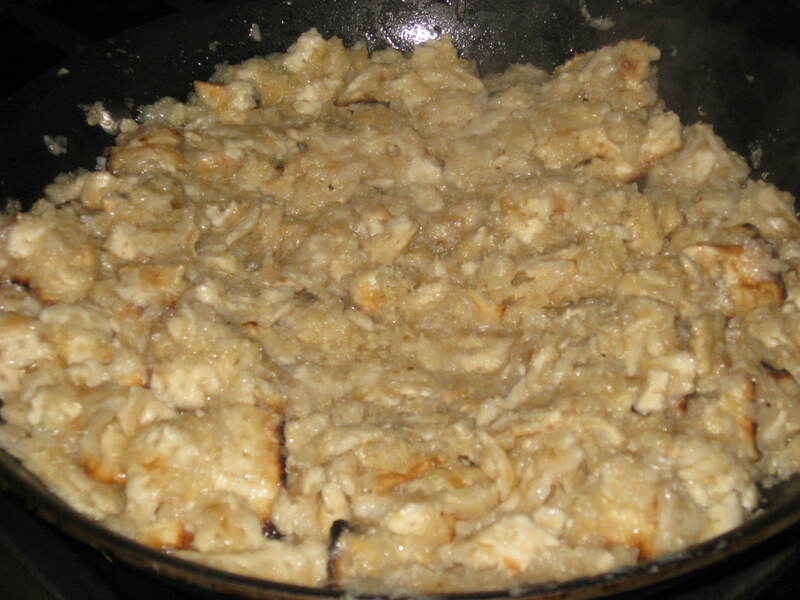 Stir in both packets of matzah meal mix along with the oil, and mix until well blended. Cover the bowl and refrigerate for at least 15 minutes. Just before baking, preheat the oven to 275º F. Roll the matzah meal mixture into approximately 1-inch balls; don’t pack them too firmly. Arrange on a parchment-lined baking sheet. Bake for 20 to 25 minutes, carefully turning the matzah balls after 10 minutes, until firm to the touch; don’t let them brown. If making ahead of time, let the matzah balls cool completely, then cover until needed. 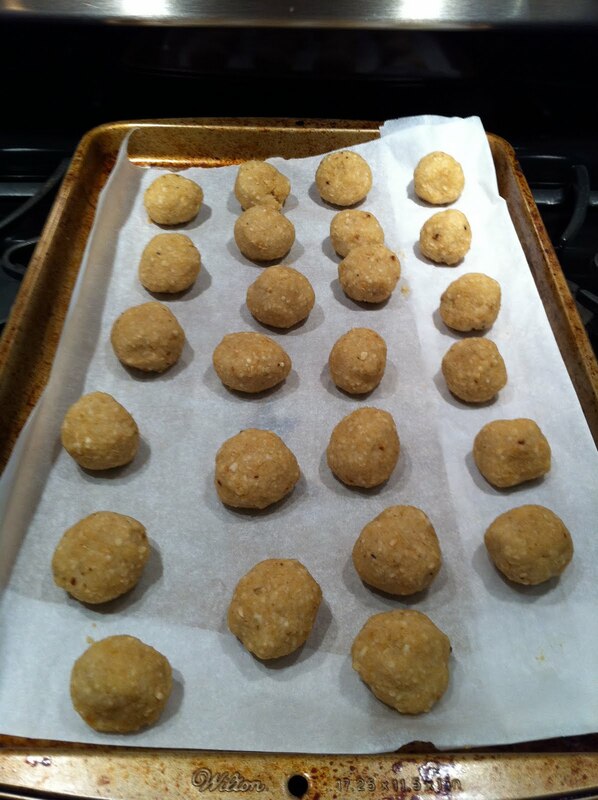 Warm them briefly in a medium oven and distribute them among the soup bowls, allowing 3 or 4 matzah balls per serving. 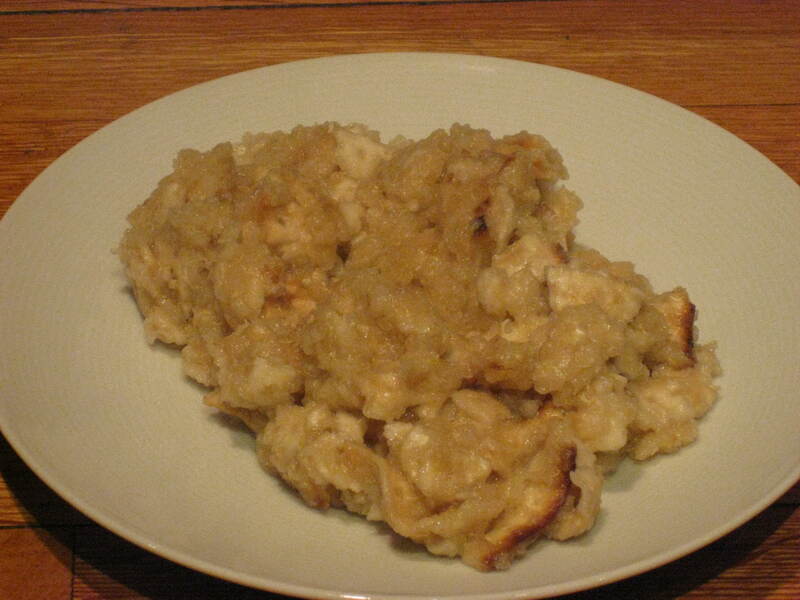 I have only seen recipes for vegan mazah brei with tofu and was sooo happy when Lisa Dawn posted this recipe from Nava Atlas. More of our new best friend Quinoa Flakes! This was so good and I added the sugar so it tasted just like my mom’s growing up! YUM! Boil the water. In a bowl, mix the crumbled matzah and the quinoa flakes. Pour the hot water over it and let it sit for 3 to 4 minutes. It is ready when the water is absorbed. In a skillet, melt Earth Balance and pour the mixture in. Sort of flatten it down a little and sprinkle with salt and sugar. When it has been going for a few minutes, scramble it a little to give all sides a chance to crisp up. Just scramble for a few more minutes and then serve and Enjoy! Thanks Lisa! I am so excited and we mus start exploring new things to do with quinoa flakes!!! Kim, any ideas for this too? They are amazing! yay! i am so glad you made these with our new best friend! let’s try to come up with some new recipes using the quinoa flakes together! where can i find quinoa flakes? because i must try them!